ISO is the third component that defines the exposure - or in other words the brightness of your image. While Aperture and Shutter Speed are the natural components that just take the light that is there to expose the image, ISO comes into play when there just isn´t enough light available and you need to amplify – or in other words, artificially brighten - the image. A higher ISO results in a brighter image. 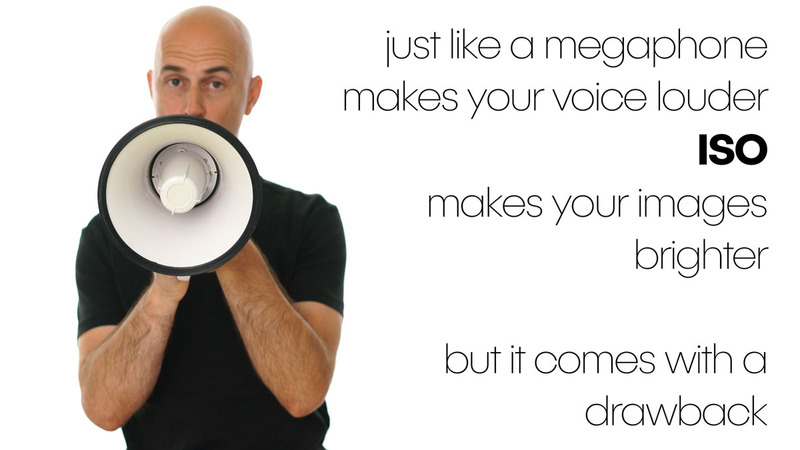 To understand what it does, we can compare it to a megaphone. A megaphone artificially makes a voice louder, just like ISO artificially makes your images brighter. But your voice doesn´t sound exactly the same anymore, just like your image doesn´t look the same anymore. Artificially brightening your image reduces the quality and you get what photographers call "noise". The base ISO of most cameras is 100. 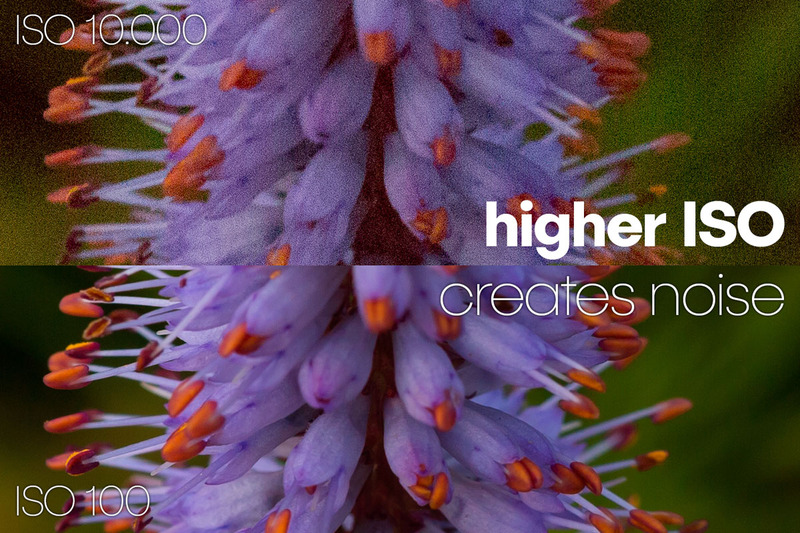 If you use ISO to brighten up the image, by using higher numbers, like 800, or even 10000, the quality decreases. Here is a crop of an image shot at ISO 100, and the same with ISO 10.000 – can you see the difference? There you go – you now understand ISO, the third component of exposure and with it how the brightness of your image is made. Aperture, Shutter Speed and ISO all three can make an image brighter or darker, and as a team they determine the brightness of your image. Lets finally get your hands on your camera in the next movie.